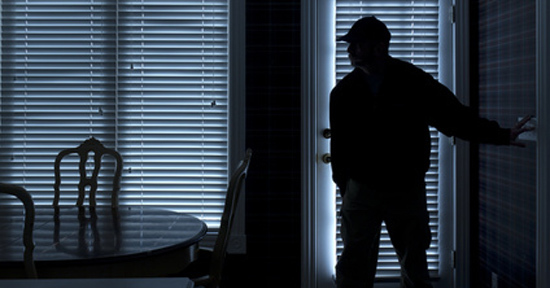 Home security systems help protect against burglaries and provide peace of mind. They also warn you if there's a fire or carbon monoxide in your home. However, most of them take a large chunk from your monthly budget. The average family does not have $500+ to spend on security equipment, plus the $50 in monthly monitoring fees. Just because you're on a tight budget doesn't mean that you can't protect your home. This is actually Protect America's motto. They believe in affordable home security for everyone. If cost is a top issue for you, then Protect America is worth a look. Protect America is a no-frills home alarm system. They have the latest in security technology which can suit everyone's needs. Before you decide on a system, make sure you understand all the details. That way, you can decide whether it's a smart investment. Protect America works best for homeowners looking for a basic, inexpensive home security system. You can get started with a home security package for just $19.99/month. This is good for those most concerned about cost. However, for a short commitment, Protect America isn't the best choice. In that case, you'd want to consider other security system providers. For instance, Frontpoint offers a 1-year plan. We'll explain more below. But first, let's highlight the current Protect America promotions. Protect America plans start from as low as $19.99/month, and can jump as high to $54.99/month. Generally, plans using landline connections will have cheaper monthly fees. Plans for wireless connections will be more expensive. The upside is, Protect America has no upfront costs for the basic package. The monthly fee is what you pay to get started. Other companies may need you to buy their equipment when you start. That means high upfront costs. However, additional sensors and features may still need to be purchased separately. For example, if you wanted a smoke detector or indoor camera, expect to pay more upfront and monthly. We'll discuss this further under the Equipment subsection. Still, we think Protect America is cheaper overall. You also save money on installation costs. Protect America's security systems are easy DIY self-installation systems. Did you know: Protect America has a low-price guarantee. If you find a deal with a lower price for the same equipment, they'll match the price. Visit Protect America for details. Protect America also locks their rates, unless you change your plan. Some alarm system companies sneak an escalation clause in your agreement. This lets them raise the rates when you renew. Copper, $19.99/month ($41.99 for wireless): This is Protect America's lowest priced plan. It's good if you just want basic coverage. It comes with a control panel, motion detector, and 3 door/window sensors. Silver, $37.99/month ($49.99 for wireless): The mid-grade plan is reasonably priced. This is good if you live in a multistory home. It comes with 9 door and window sensors, so you can protect more doors and windows. All of Protect America's plans have a standard item list. It includes a control panel, door/window sensors, and motion detector. They also provide a yard sign, with door/window stickers. These are enough for a basic home security system. However, they also have advanced gadgets. For example, they have HD cameras. It allows you to watch what's going on inside and outside your home. This makes your home more secure. The upgrades are optional. You can choose to buy them separately. This allows you to customize your system. Control panel (touchscreen upgrade for $99): The control panel is the most important part of a security system. It tells the rest of the equipment what to do. Protect America's standard control panel is the Simon XT model. You can upgrade this to the Simon XTi5 model, the touchscreen version for $99. There's also a loud piezo siren in the panel. The siren rings once an alarm trips. It only stops when you disarm the system. Security cameras (Indoor $99/ Outdoor $169): Protect America also have indoor and outdoor cameras. These can stream in HD, has night vision, and two-way audio. The footage is encrypted, so it's secure. You can buy the indoor cameras for $99 each. Outdoor cameras cost $169. Smoke detectors (2 for $9.99/month): Protect America also has smoke detectors. It costs $9.99/month for two detectors. If you already have smoke detectors, just get the monitoring service for it. That costs $2.00/month. The smoke detectors have a siren which goes off once it senses smoke or heat. Motion sensors ($99 for additional units): Motion sensors sense movement. This is good when you're not expecting anyone to be at home. The sensor has a 25-foot range. It also won't give you false alarms if a small pet (40 pounds or less) is wandering around. 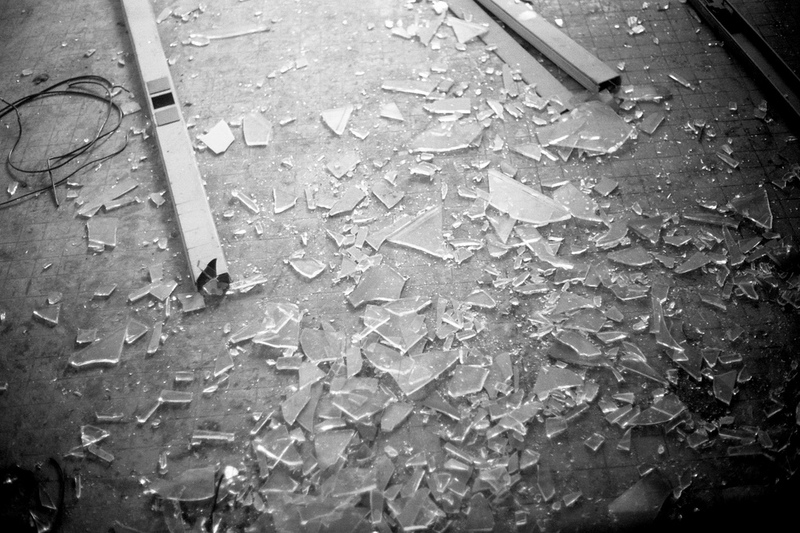 Glass break sensors ($99 each): One of the most common methods of breaking into a house is through the window. Protect America has sensors which listen for broken glass. It can pick up the sound of glass breaking from 20 feet away. Door/Window sensors ($39 each): These sensors attach to your door or window. After a door or window opens, you have to quickly disarm the system. If you don't, it becomes an alarm. Protect America's higher-tiered plans provide more sensors. However, you can also buy these separately. This lets you cover more entry points in your home. Mini Pin Pad: The mini key pad lets you arm or disarm your system. You can do this from anywhere inside your house. It's handy, because you don't have to use the control panel. The key pad also has a panic button feature. Pressing the panic button sends a distress signal to the cops. It's useful in an emergency. It's best to have a mini pin pad in areas you spend most of your time in. Places like the bedroom and living room are good areas to have a pin pad. Note: Items like smoke detectors and video cameras can change your bill. You may have to pay upfront, as well as monthly. Before you order, make sure you know exactly how much it costs. Protect America is a DIY home security system. DIY means you have to install the system yourself. They also provide security monitoring for a monthly fee. They have different tiered plans. The price of each plan depends on the connection type, and number of sensors. The 'Copper' plan for example, includes 3 window/door sensors. The 'Platinum' plan has 14. Depending on the connection, the price changes too. We'll discuss this further in the subsections below. Protect America has a standard package. This includes a control panel, window/door sensors and motion sensors. You can also buy extra gadgets like video cameras and smoke detectors. These can supplement your home security system. Protect America also provides a monitoring service. When an alarm triggers, the system sends a signal to Criticom Monitoring Services (CMS). CMS then contacts you. If you don't respond (or indicate it is a false alarm), CMS alerts the police, which are dispatched to your house. Who is Criticom? Criticom is the largest wholesale alarm monitoring company in the United States. They serve more than 3,500 alarm companies with a collective 800,000 customers. Their monitoring service includes response to security, fire, medical emergencies, Personal Emergency Response Systems (PERS), environmental and interactive services such as two-way voice and remote video. To start, call (855) 330-0286 for the latest promotions. Read on for more on each of these points. Most home security companies are expensive. You have to pay a large upfront fee. You also need to pay for installation and equipment costs. This is the hardest part for many families. But with Protect America, installation is a bargain. In fact, it costs absolutely nothing. The system is totally do-it-yourself. It's not as complicated as putting together furniture from IKEA. Even technophobes can get the system set up in no time. You just peel and stick the sensors. They've made DIY installation virtually foolproof. A good thing about DIY is that you don't have to wait for a technician to come. You also don't have to pay $100 or more to get your system installed. If you do have trouble with installation, don't worry. There are detailed instructions on Protect America's website. You can also call their customer support who will guide you through the installation. The installation is free, and the equipment doesn't cost a thing either. You get up to $1,400 worth of equipment at no cost when you sign up with a monitoring contract. That is a pretty sweet incentive. Plus, all your equipment comes with a lifetime replacement warranty. You don't have to worry about paying to fix or replace broken equipment. Another good thing about a DIY system is that it's mobile. If you decide to move to a different house, you can just bring the system with you. It's better compared to systems that are hardwired into the building. Tip: Want a free personalized quote? Call (855) 330-0286. You save a lot upfront with free installation and equipment. Still, you need to think about the monthly fees. It can be expensive over time. Buying extra equipment also increases your costs. Protect America's plans start at $19.99 a month. This includes 24/7 professional monitoring using landline. That's only about a week's worth of daily Starbucks runs. Copper, $19.99/month. This is their lowest priced plan. It's good if you just want basic coverage. The package comes with a control panel and motion detector. You also get three door and window sensors. Bronze, $35.99/month. This plan is good if you've got a little more ground to cover. With this plan, you get six extra door/window sensors. Silver, $37.99/month. 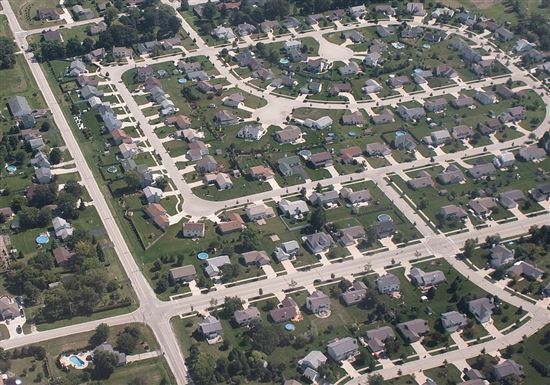 The middle-tier plan is cheap when compared to other companies. Choose this if you live in a multistory home. You'll need the nine door/window sensors to cover all your entry points. Gold, $39.99/month. For $2 more than the Silver plan, you get two extra door/ window sensors. You'll have 11 total sensors altogether. Platinum, $42.99/mo. This is Protect America's most expensive plan. It's a good deal compared to other security providers. It's great for people who live in large homes. The 14 door/window sensors can cover more entry points. 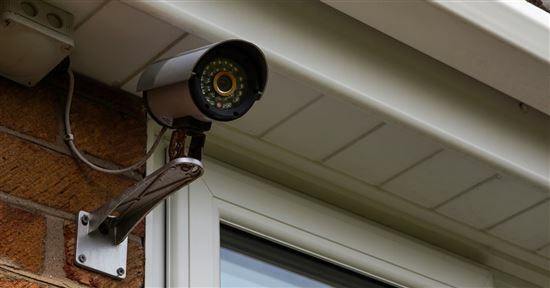 Watch Out: Some home security companies aren't transparent. They'll try to sneak an escalation clause into your agreement. It basically lets them increase your rates when you renew your service. With Protect America, your rates are fixed. Unless you change your plan, you'll always pay the same price. You can feel secure with Protect America's clear-cut pricing. If you don't have a landline, you can get wireless monitoring. The pricing above is for landline monitoring only. Wireless has a higher monthly fee, starting at $41.99 per month. To learn more about the packages, give Protect America a call. You can also ask about their lowest price guarantee and free equipment promotion. Protect America customers can monitor their system remotely. They need to use the SMART Connect mobile app. The app is free to download for iPhone and Android users. This service is available for free with their wireless monitoring service. It's not available for landline monitoring. You can set a unique password for the app. The password will stop a thief from using your account if you lose your phone. You can customize the alarm to fit your needs. The great thing about Protect America is that their plans are customizable. First, think of how many entry points you'd like to cover. Then match it with the closest plan or package. If you need more sensors, you can purchase them separately. Or you can simply upgrade your plan too. Protect America also offers more advanced features and equipment. You can use these together with your basic package. They're optional, so only get them if it fits your needs and budget. Z-wave technology. This is one of the coolest features of the system. Z-wave technology lets you remotely turn lights on or off. You can also lock and unlock doors or adjust your thermostat from your smartphone. Note: It's only available for cellular and broadband monitoring. Garage sensors. A garage door sensor is a smart investment. You won't have to worry about whether you left the garage door open again. Garage door sensors are tilt sensors. You install the tilt sensor against the top of the garage door. When the tilt sensor is horizontal, it means the garage door is open. Yard signs. It's a good thing to show that you've got a home security system. 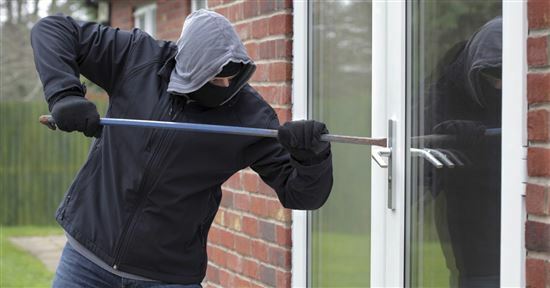 In one study, 60% of burglars said they'd choose to target a different home if they noticed a security alarm. Putting up alarm signs around your yard discourages potential thieves. You get more than just home security. Getting a security system with monitoring has other perks too. You can add fire and smoke protection. There's also carbon monoxide detectors, medical panic alerts and even GPS trackers for your car. But keep in mind things like Z-wave technology, glass break sensors and fire and smoke detectors cost extra. Don't add all these things until you speak with their customer service. Find out what's included and what it will cost you. There's a three-year contract: Protect America's plans are a three-year minimum. The only way to get out of it is to cancel within the initial 14-day window or pay a penalty. But keep in mind that with the three-year agreement, you get up to $1,400 of equipment for free. You can also bring the system with you if you move. Note: While Protect America offers competitive pricing, their offers are subject to an approved credit rating. Customers with bad credit may not qualify for their packages. If you feel like you may not qualify for a credit rating, you may choose to pay the full contract upfront. It will be the same overall cost as making payments over 36 months. This option is open to anyone, regardless of their credit score. Short trial period: You have 14 days to return the equipment from the original shipment date. Still, we think 15 days is reasonable to decide if you like the system or not. Low rates are only for landline service: The $19.99/month price is only for landline monitoring. The price jumps if you switch to wireless. The starting price is hard to beat if you just need basic monitoring. But remember - wireless is more secure. You also don't get to use the mobile app with landline. If you upgrade to wireless, the lowest tier plan is $41.99/month. The highest tier goes up to $54.99/month, which is on par with other companies. Still, you get up to $1,400 in equipment for free. Some people may find that it's worth it overall. Be careful of equipment costs: Speak to their customer service before you sign up. Know how much you'll spend upfront. Take note of your monthly fees too. Remember that optional equipment costs extra. To learn more about Protect America, including getting a free personalized quote, click here to visit Protect America's website. 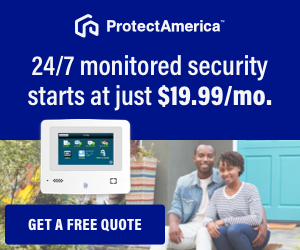 Protect America has the SMART Connect app. It's free with any broadband or cellular plans (landline plans can't access it). With the app, you'll receive alerts when an alarm triggers. It lets you know by e-mail or text. You can also use the app to arm/disarm the system or check your systems event history. It tells you when your system was last disarmed. Smart locks: Smart locks are wireless electromechanical locks, usually installed on the front door of your home. They're connected to a wireless network. They can be locked or unlocked remotely. You can do this online or with a mobile app. Smart Thermostat: Smart thermostats also connect to a wireless network. You can control them remotely via a web or mobile app. This is helpful if you've forgotten to shut off the heat. It's also useful to control the temperature before arriving home. Some smart thermostats are learning thermostats. They 'learn' your behavior and adjust the temperature accordingly. Others can even tell you how much you're spending on your energy bill. Protect America works with the Nortek GoControl smart thermostat model. Amazon Echo (Alexa):Alexa is Amazon's virtual assistant. You can use it to control the smart devices in your home. This includes Protect America's security system. You issue commands to Alexa through a small, voice-enabled speaker. The speaker unit is called the Amazon Echo. Use Alexa to arm/disarm your system, as well as control lighting and temperature. You can even use it to control the smart locks in your home. Protect America's cameras are high-definition cameras. You can view live stream footage through your mobile phone. This allows you to self-monitor your home. Infrared LED's help the camera see up to 16 feet ahead at night. It also has a two-way audio/ talk feature. With this, you can communicate with people on the other end. The footage is kept on cloud storage. It's also encrypted with 128-bit AES. This keeps your feed private and secure. Outdoor Camera: Protect America's outdoor camera is all-weather. It captures footage at 720p HD. Infrared LED's help the camera see up to 65 feet ahead in low light conditions. This means you'll get to monitor your surroundings even at night. Be warned that the outdoor camera does require an active internet connection. The camera also requires access to a power outlet. The socket must be within 4 feet of the camera's location. What are Protect America customer service hours? If you have a question, call a Protect America's helpful customer service rep from 8 a.m. to 9 p.m. CT on weekdays. On weekends, it's 9 a.m. to 7 p.m. CT. Tip: You can call 1-800-951-5111 to contact customer service. But if you don't want to be put on hold, use the live chat feature. You can use Protect America login to control your system or pay your bill over the web. Bill Pay: You can pay your bills with Protect America's online bill payment. Just register for a Bill Pay account, activate it, and click on 'Make Payment' to fill out your payment details. Many people have doubts when they hear 'self-installation'. Actually, Protect America's equipment is easy to install. It's just plug and play. If you have a problem, call their support staff. They're on standby to guide you. We've included a guide on how to install Protect America's basic equipment. This covers the control panel, motion sensors, and door/window sensors. The control panel is the command center for your security system. It detects a signal from all the sensors. It then notifies the monitoring centers if an alarm trips. The control panel is also where you'll arm or disarm your system. Tip: If you upgrade your plan to wireless, you can use the SMART Connect mobile app. This lets you arm or disarm your control panel remotely. When installing the control panel, choose a central location. It should be accessible, and easy to hear. Don't put it near large appliances, mirrors, or metallic surfaces. These can interfere with the signal. For cellular connections, just plug in the control panel to a power socket. After that, it's ready to use. For broadband connections, you'll need to connect the panel to your router. Once connected, it's ready to use. For landline connections, you'll need to connect the panel to a phone jack. You should contact Protect America to verify your installation. First, determine where you would want to place your door/ window sensors. Clean the area with alcohol-based solution, or warm water with soap. You don't want dust and dirt to affect the adhesive at the back of the sensors. After cleaning, make sure the area is completely dry. When placing the sensors, make sure they're close together, no more than 3/8ths of an inch apart. This is about the width of a number 2 pencil. Also, find the arrow and notch on the sensor, and make sure they're aligned. It's recommended to do a dry test before installing your sensors. To do this, hold the sensors over where you intend to install them. Lift the magnet away and listen for the control panel to say "front door". If you hear the panel say "front door", it means the sensor is working correctly. Don't worry if it's not actually your front door. That's the default programming for each sensor. You can change this later. Once you've done the dry test, install the sensors and the magnets with the Velcro strip. Hold the sensors in place for at least 30 seconds. Then, test them again to make sure the installation was done properly. Each sensor comes with a number. Use the number to record the sensor number and location. You'll need to write this down on the sensor information worksheet. The worksheet comes with your Protect America equipment. This will be important when activating your system later. You should put motion detectors in high-traffic areas. This could be places like a living room or hallway. This makes it easy for the sensor to catch a movement if someone breaks in. Make sure the motion detectors aren't pointed to a window or heat source. This may result in false readings. You should install the motion detectors in the corner of a room. This will give maximum coverage of up to 25 feet in a 90-degree arc. Also, make sure the motion detectors are about 6.5-7 feet above the ground. Installing the motion detectors will require minimal drilling. You'll need to drill holes in the wall. You'll also need to drill holes in the sensor's removable plastic base. On the plastic base, drill holes on each side for corner installations. If you're installing them on the wall, drill two holes in the center instead. Either way, the process is the same. Drill the holes on the plastic base first. Then, use the holes in the plastic base to mark the drill points on the wall. Drill holes in the wall about an inch deep. Then insert the anchors by hammering them in gently. Place the base back over the anchors and screw the base in with the screws provided. Now just click the motion detector back into the base, and you're done. The final step of the installation process is activating your system. Once everything is installed, give Protect America a call. Their team will help activate your system and verify your installation. Make sure you've filled out the sensor information worksheet. Also, don't forget the packing slip. You'll need both of them before you call. This is important for the activation process. Remember, you need to call Protect America to activate your system. If you don't, your system won't protect you. Protect America has been in business for over 20 years. They have a wide range of customer reviews online. Most of are positive. Still, there are negative comments, but the company responds to them publicly. They make an effort to resolve all issues. Most of the negative reviews were over the three-year contract. There were also complaints of sensors falling off windows. False alarm complaints were also common. How to get out of Protect America contract: New customers have 14 days from the shipping date to try their product. If they're not happy, they must return the equipment by then. After the 14-day period is up, you enter the 36-month contract. If you wish to cancel after that, you'll have to pay the rest of the amount due. We also checked out the Better Business Bureau to see if any consumer complaints had been filed. We found over 500 Protect America complaints made in the last three years. About 300 of those complaints were about equipment or service. Billing complaints were also common. The good news is that all the complaints were listed as resolved. The company has an overall A- score. 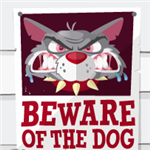 A yard sign is the first line of defense against potential burglars. It tells them your house has a security system. This deters them from trying to break in to your home. Protect America's yard signs come with a solar lighting unit. The unit turns on when it gets dark, so the sign is visible even at night. For $99, you can upgrade the standard Simon XT panel to the XTi-5 touchscreen panel. The XTi-5 has a larger display, and color LCD touch screen. It also uses an icon-based system operation. Like the XT, the XTi-5 model also has a loud piezo siren. The siren rings once an alarm trips. The Xti-5 also supports Z-Wave home automation. This lets you control the lights, locks and thermostat remotely. With remote access, you can manage your energy consumption efficiently. This saves you money on your energy bill. Controlling your lights remotely also makes it look like someone's home. It's more realistic compared to automatic timers. You can also access the control panel remotely from web-enabled devices. Or you can use Protect America's SMART Connect mobile app. Smart thermostats connect to the internet. They give the user more control, compared to programmable thermostats. You can set the temperature even when you're not home. You have much better control over your energy consumption. This means more savings on your monthly energy bill. With the wireless plan, you have access to the SMART Connect mobile app. It lets you control the smart thermostat from your mobile phone. Protect America's motion sensors have a horizontal range of 25 feet. This makes for a wide detection area to catch movement. It detects movement by sensing heat moving across the room. That's why you shouldn't place it in front of a window or heat source. Motion sensors are pet friendly and can accommodate pets under 40 pounds. ADT: ADT is the largest security company in the US. But is it right for you? Is it better than Protect America? Plans start from $19.99/month to $54.99/month. All plans include free equipment, no installation fees, and 24/7 monitoring. $54.99 Cellular Monitoring Plan includes cellular connection, smartphone control, automated door locks, and lighting control. Plans start from $28.99/month to $58.99/month. All plans include 24/7 monitoring for burglary. Monday to Friday 8am to 9pm Central. Saturday to Sunday 9am to 7pm Central. 24/7 Monitoring 24/7 customer support and monitoring. SMART Connect app allows you to arm and disarm your security system remotely, monitor sensor activity, view live video, and control locks and lights. App is available on App Store and Google Play. ADT Pulse app allows you to activate alarm, check sensors, watch live video feeds, control lights and appliances, adjust thermostats and view history of home activities. Available on App Store and Google Play. Supports Z-Wave Door Locks, Lights, and Thermostats ADT Pulse allows you to arm/disarm your house, control your lights and thermostats remotely. GE Simon XT ADT Pulse touchscreen control panel allows you to know alarm status, arm/disarm your alarm, control lights, check weather, and view live video from security cameras. Also allows you to quickly send an immediate alarm (medical, fire, or police). Frontpoint: Frontpoint has a lot in common with Protect America. They cost about the same and have the same kind of equipment. Their plans start at $34.99 per month. You'll need to spend at least $100 on your equipment. However, it comes with a three-year warranty. Protect America has a lifetime warranty for replacement parts. Like Protect America, Frontpoint also has its own security app. They also use Z-wave technology for home automation. Frontpoint is 100% wireless. Protect America offers wireless, landline and broadband connection options. $54.99 Cellular Monitoring Plan includes cellular connection, smartphone control, automated door locks, and lighting control. Plans start from $34.99/month to $49.99/month. All plans offer 100% wireless and cellular system with 24/7 professional monitoring. $49.99 Ultimate Plan supports video streaming, automated door locks, and advanced thermostat control. Monday to Friday 8am to 9pm Central. Saturday to Sunday 9am to 7pm Central. 24/7 Monitoring Monday to Friday from 8am to 11pm Eastern. Saturday and Sunday from 10am to 6pm Eastern. 24/7 Monitoring. Supports Z-Wave Door Locks, Lights, and Thermostats Automate your lights, door locks, and thermostats using Z-Wave technology. GE Simon XT Standard control panel includes cellular technology. Optional touch screen control panel upgrade. SimpliSafe: SimpliSafe offers great prices for security protection. Their monitoring service starts at just $14.99. You don't have to sign a contract either. But you do have to pay for equipment upfront. Their packages start at $229. If you upgrade your plan, you can access their security app. It lets you monitor your home from your mobile device. Monday to Friday 8am to 9pm Central. Saturday to Sunday 9am to 7pm Central. 24/7 Monitoring 9am to 6pm Eastern, 7 days a week. 24/7 Monitoring. SMART Connect app allows you to arm and disarm your security system remotely, monitor sensor activity, view live video, and control locks and lights. App is available on App Store and Google Play. SimpliSafe Home Security app allows you to arm/disarm remotely and monitor sensor status. Requires Interactive monitoring subscription plan and SimpliSafe2 system. Bottom Line: Is Protect America Worth It? The cheaper price makes Protect America a good bargain. It even has a lowest price guarantee. Still, it comes with a few catches. First, is the three-year contract. It also has a short 14-day trial period. If you choose cellular or broadband monitoring, the price jumps to $41.99/month. But remember, the basic equipment is free. Overall, Protect America is the best security system for the money. Hopefully, we've helped you analyze the pros and cons. Weigh them out and make the right decision. Make sure to give Protect America a call before you make your final choice. Still can't decide? Take a look at our extensive home security companies rankings and reviews. Leave a comment about Protect America Review: Pros and Cons?